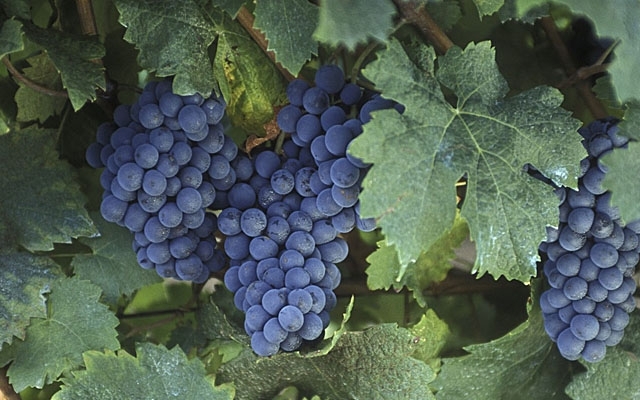 It’s a common misconception to mistake cabernet franc for cabernet sauvignon lite. On paper, all signs point that way. Cabernet franc buds and ripens early than cabernet sauvignon, it’s lighter in tannins, colour and body than the king of grapes, and typically matures earlier in the bottle. However, franc predates and even begat the king, as cabernet sauvignon is a cross between parents cabernet franc and sauvignon blanc. While the peppery, perfumed and finessed franc can certainly hold its own, it is often selected to play a supporting, rather than starring role. It has proven to be an excellent blending partner to its heir, especially when accompanied by merlot, as in Bordeaux and Meritage blends. Here, the green tinged raspberry, herbal tobacco, cassis, pencil shavings, and leafy notes add a fresh and lifted seasoning note to the blend. Dependable franc is considered viticultural insurance in the vineyard, ripening in cooler years when cabernet sauvignon won’t. The grape is well accustomed to cooler climates; it was found in France’s Loire Valley in the seventeenth century, planted at the Abbey of Bourgueil under the care of Abbot Breton (Breton is one synonym for the grape). Humble cabernet franc is one of the highlight red grapes of Canada, excelling in BC from herbal-kissed dry rosé, to light and fresh reds, and into potent, tobacco-clad and age-worthy bigger reds. Cabernet franc also is well represented across Niagara, especially in warmer vintages, resulting in a distinctly sapid, herbal-edged red with tight structure and sprightly acidity. In recent years we've been seeing much more single variety franc, and thankfully, perhaps because it's not valued as much as cabernet sauvignon and merlot, the wines have been subject to less oak and manipulation in the winery. It often has a lower price too. I've very much enjoyed characterful and unique cabernet franc from South Africa (espeically in the hands of Brewer Raats), throughout Argentina, and Tuscany's Maremma region, and it's certainly a grape I will seek out on lists and shelves when looking for a detailed, herbal, medium-bodied red. Here are ten of the top cabernet franc reds we've tasted at GOW this year.